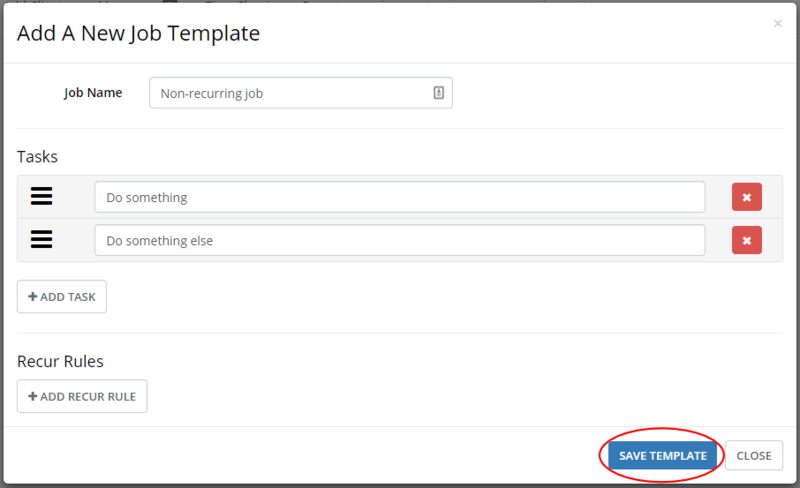 To create a non-recurring job template simply skip the recur rules section. Give the job a name and add tasks if you like. Remember to click SAVE TEMPLATE. When you add a non-recurring job to a client you will also need to select a due date. The due date box will default to today’s date when you first add the job. You cannot assign multiple instances of a non-recurring job to a client with the same due date. Once the non-recurring job is marked complete it will disappear from the client’s Services Provided box.